Enhance the qualilty of your life. To help you get from here to there. These devices will keep you steady, safe, and stylish. Canes, walker, wheelchairs, and more. 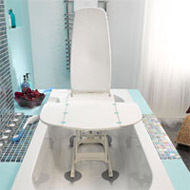 Assistive and safety devices for bathing and toileting safely and with ease. Various self-help aids to assist physically with the completion of everyday tasks such as dressing, cooking, and eating. Now you can get from here to there with just the push of a button. Roll along in a power wheelchair or scooter. 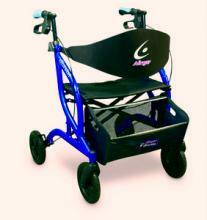 At Action Medical we strive to enhance the quality of your life. Action Medical is highly recommended by health care professionals; therapists know they can rely on our knowledge, professionalism and attention to detail. Action Medical © 2017 All rights reserved.